It is that time of the year again where you get to enjoy sitting outside on the terrace in the Haute – it is slowly getting warmer and you get to enjoy the view all over the city of Zurich. The two course menu (CHF 36.00) in its vegetarian option is actually quite decent but frankly not very refined. 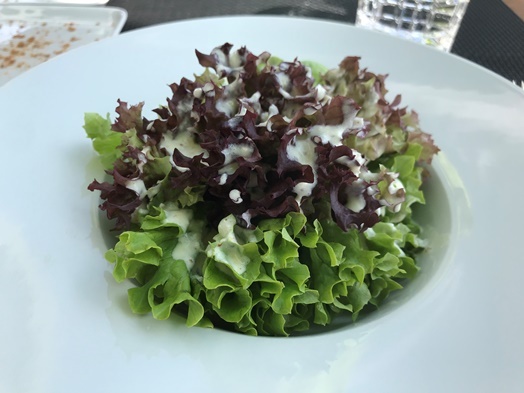 The “leaf salad” is relatively blunt and doesn’t taste like much. 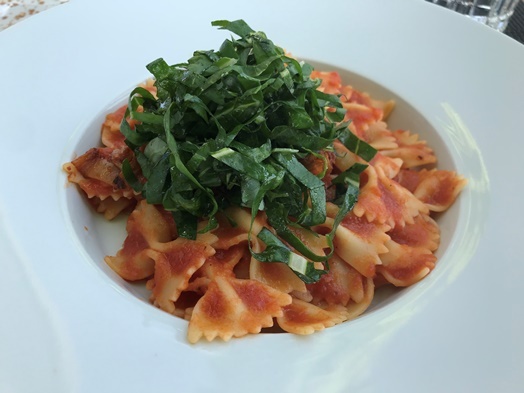 The “Pasta Arrabiata with roasted chard and basil” is a decent dish, especially due to the relatively generous application of fresh basil. However, the overall dish definitely lacks creativity and the pasta was slightly overcooked. 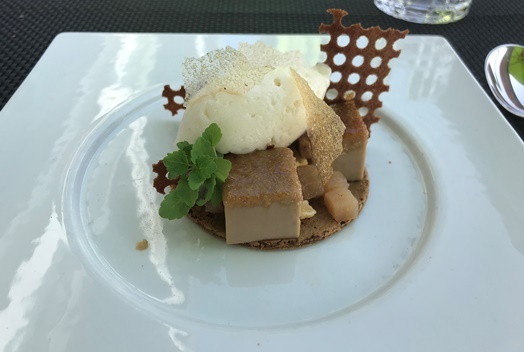 What I liked the most was the dessert “pear variation with pear sherbet, coffee and caramel” (CHF 19.00) which was interesting in terms of combination of flavours, textures and temperatures. Definitely worth trying. It has been a couple of times now that I’ve been to the Haute and I must say that in general the food is good however, when it comes to the vegetarian option, I must admit it is not entirely satisfying but rather disappointing. I get it tough,, this is a business club and not really the place where you go for fancy vegetarian lunch options but it is really not great for that. The service is good, friendly, and attentive. The prices are – if you are able to get into the club and are willing to pay the annual club membership fee – very fair. And most of it, it is worth visiting it for the view.